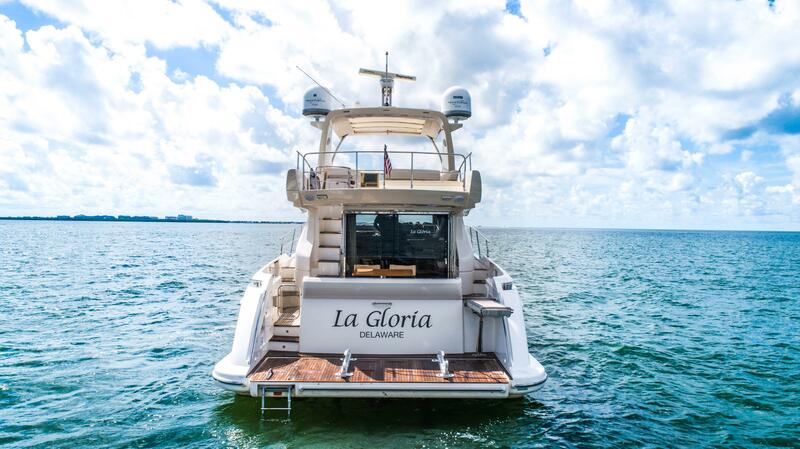 2011 Azimut 53 Flybridge "LA GLORIA"
The 2011 AZIMUT YACHTS 53’ FLYBRIDGE LA GLORIA is in superb condition. 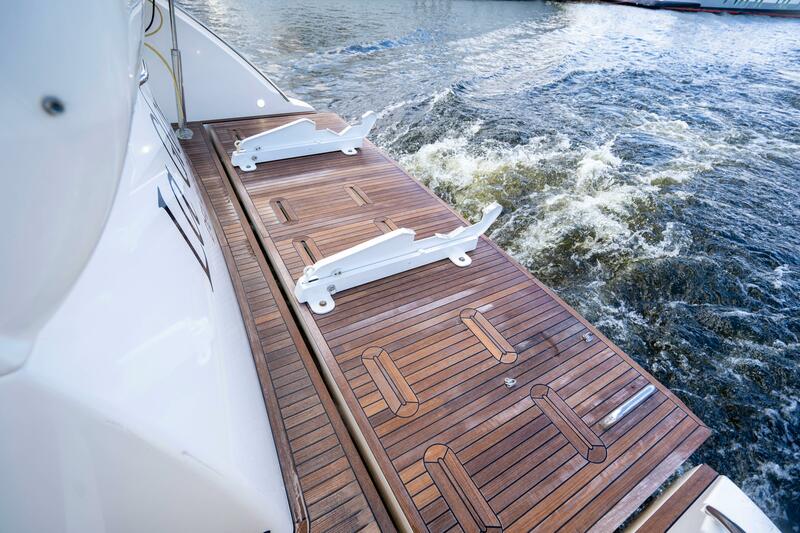 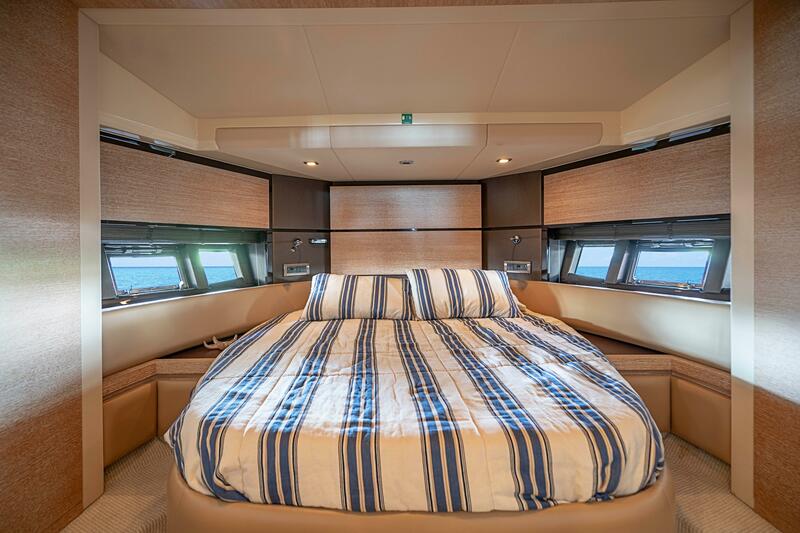 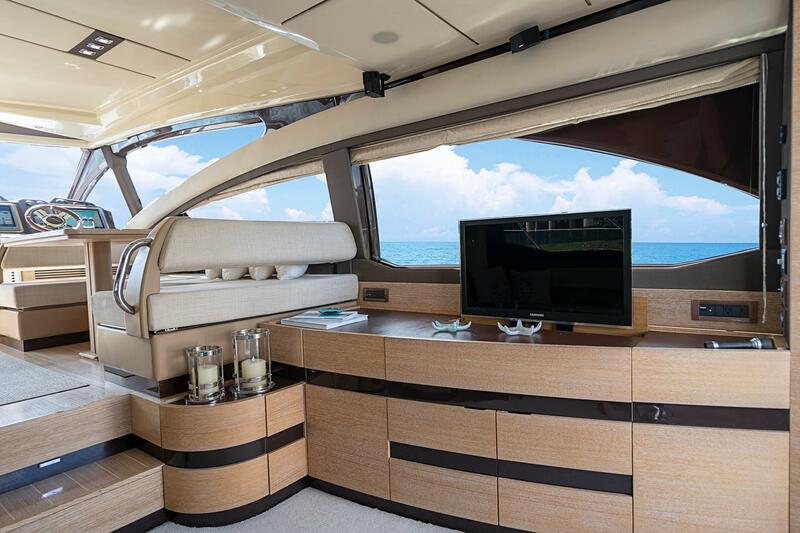 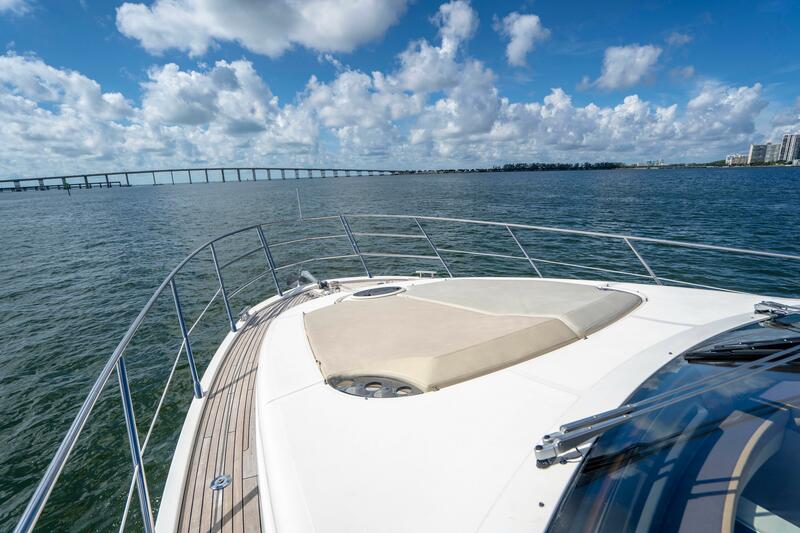 The pampering owner of this gorgeous 53’ FLYBRIDGE spared no expense, maintaining her to the fullest extent. 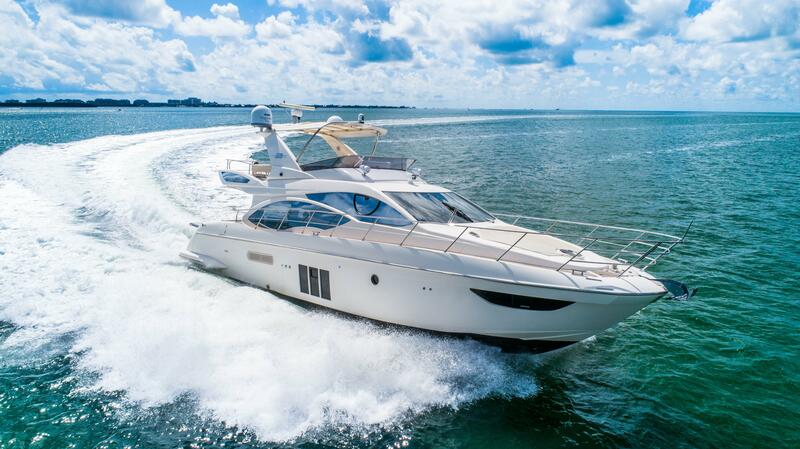 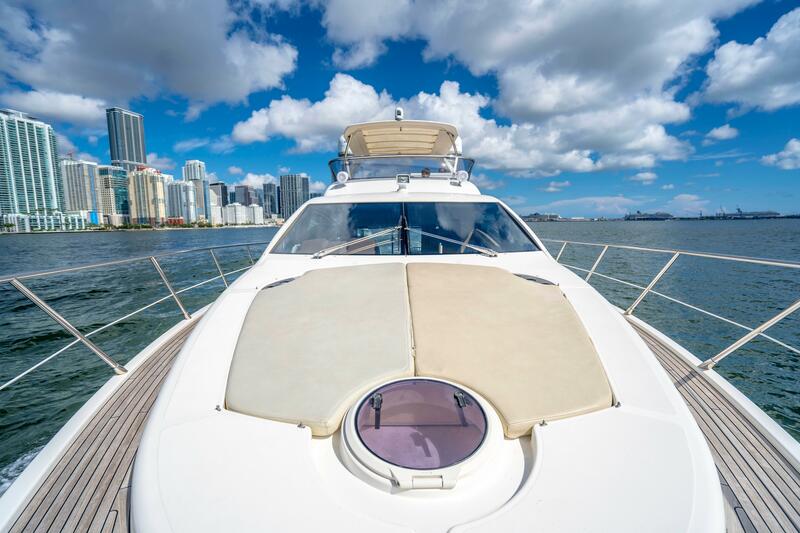 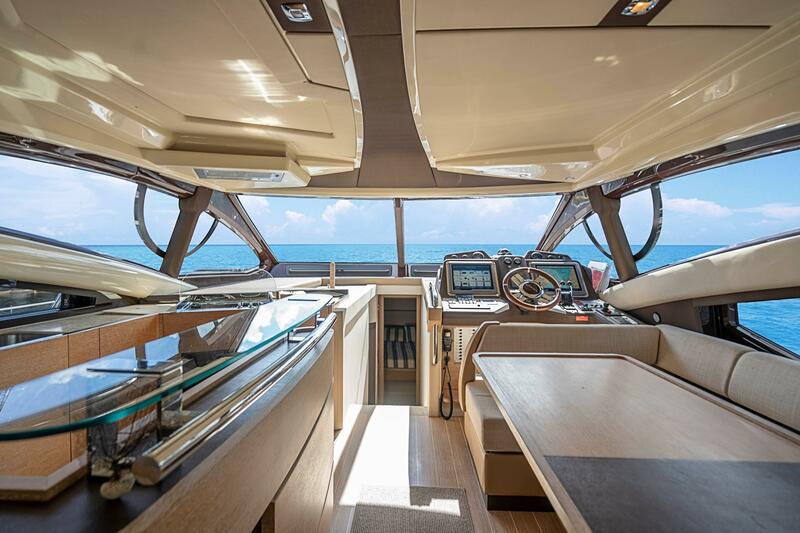 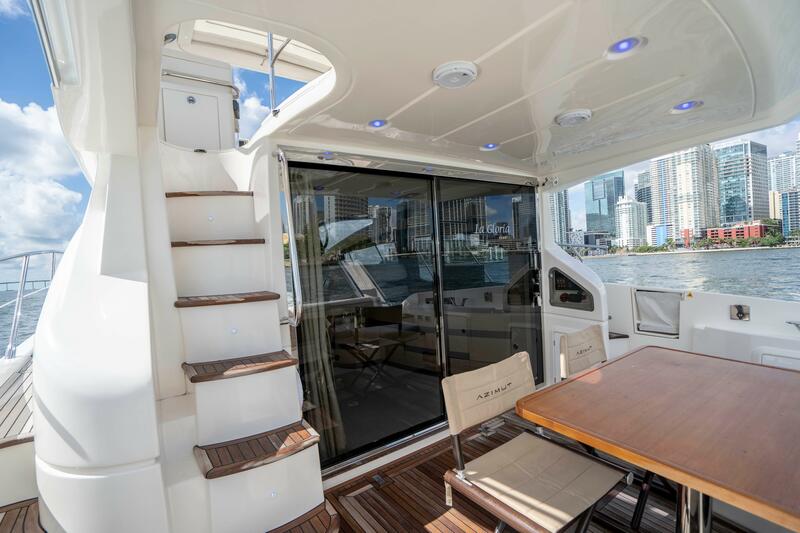 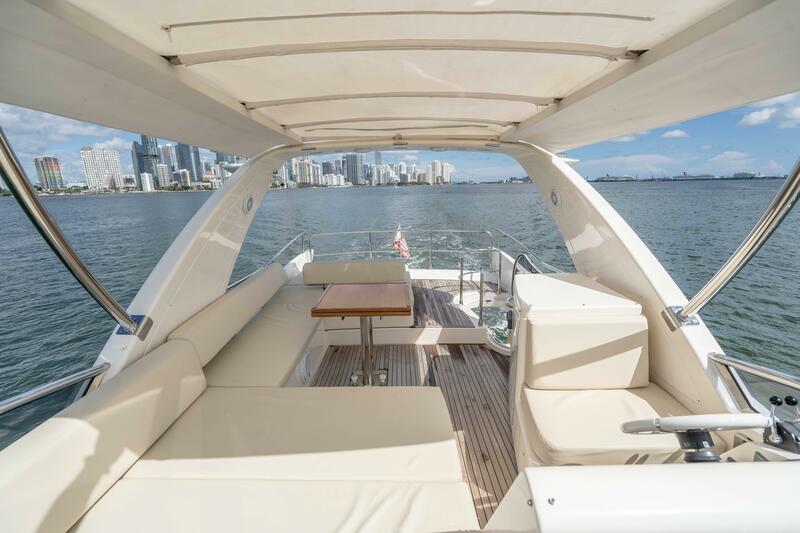 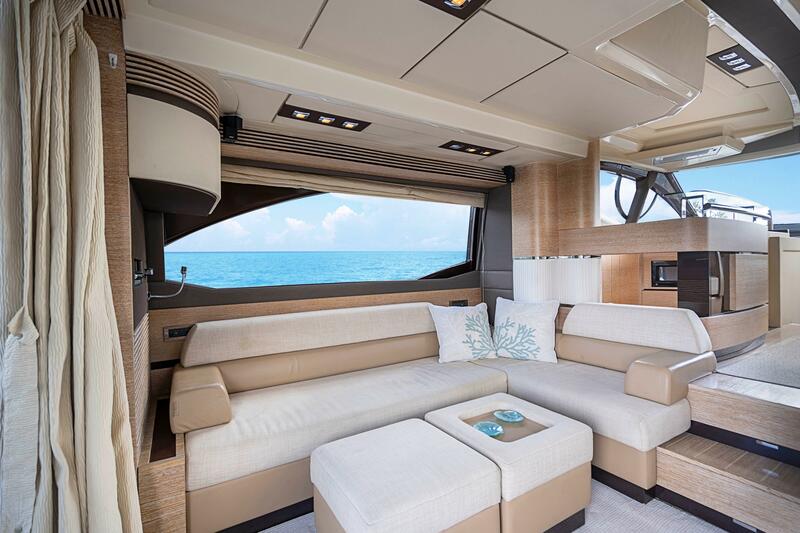 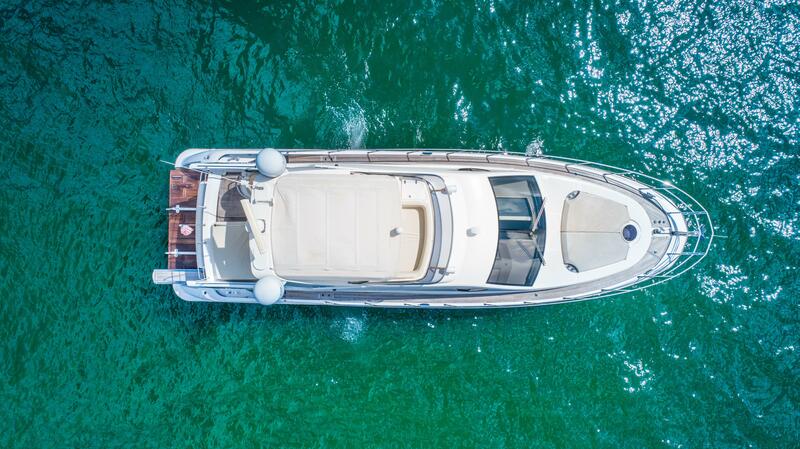 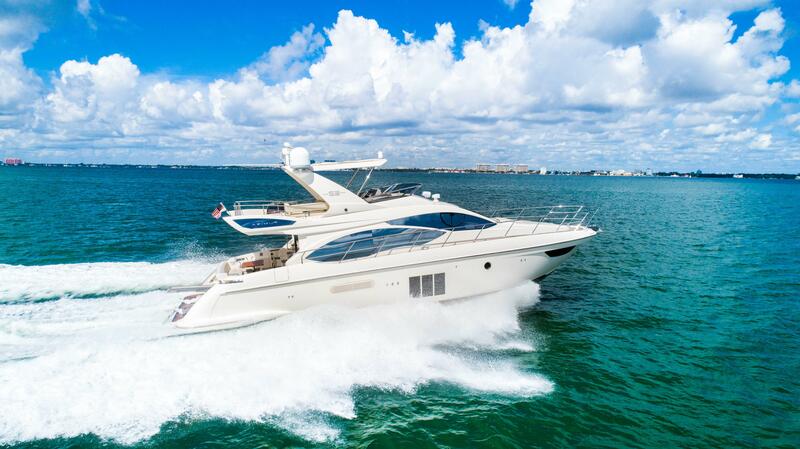 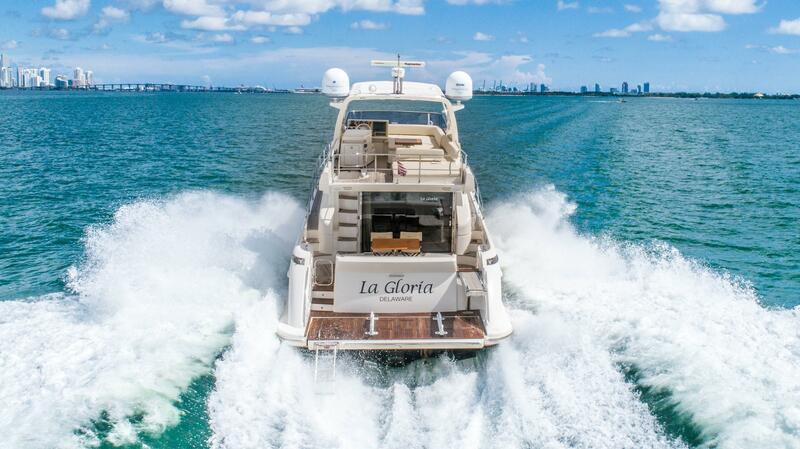 The owners of LA GLORIA have enjoyed her and are ready for a bigger boat,opening an opportunity to own this lovely AZIMUT YACHTS 53’ FLYBRIDGE. 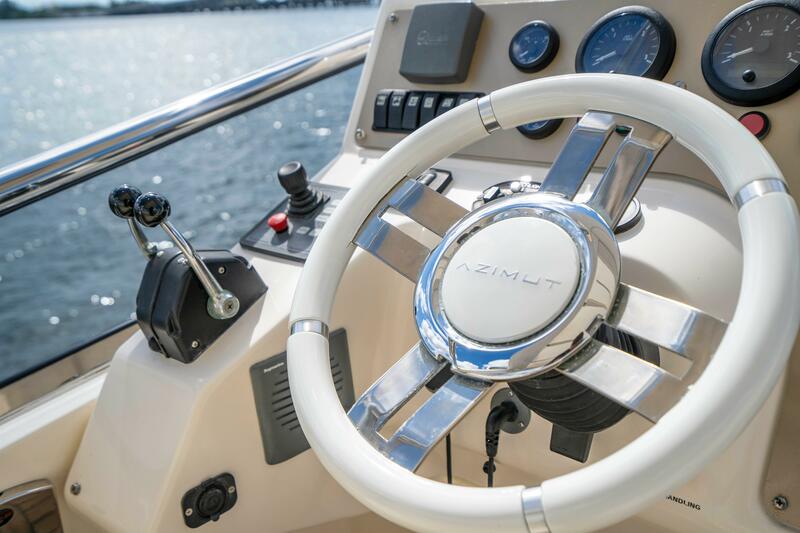 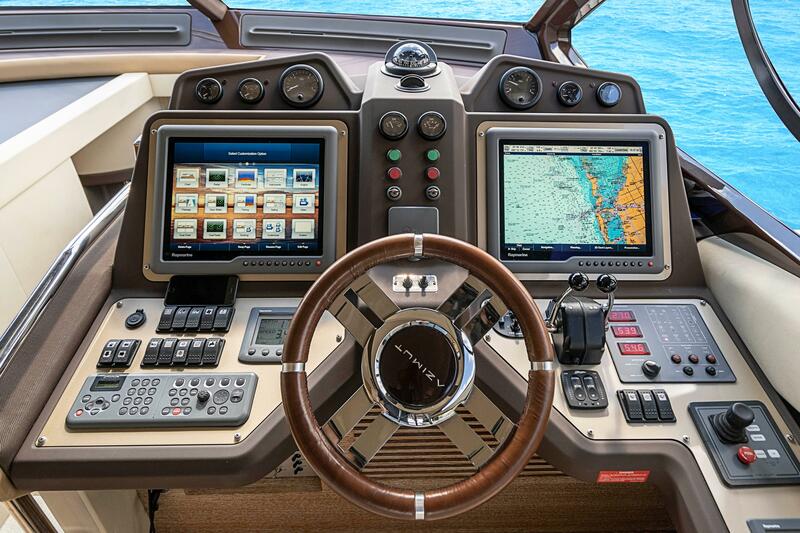 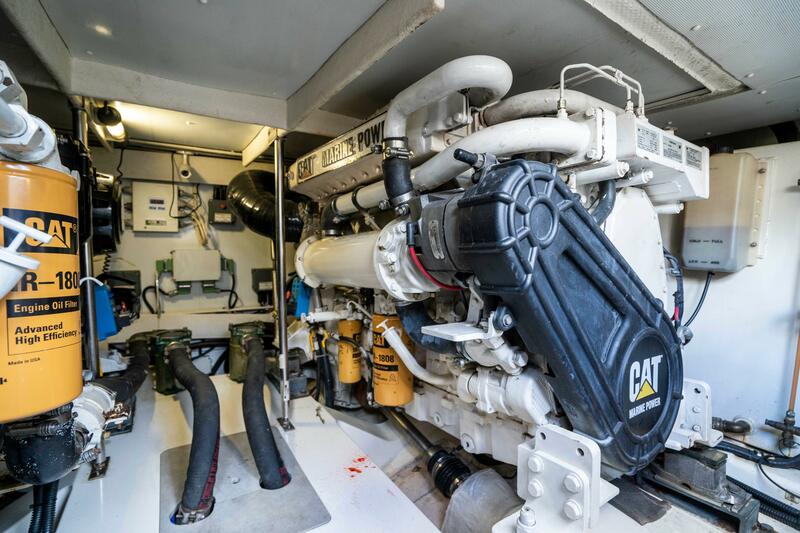 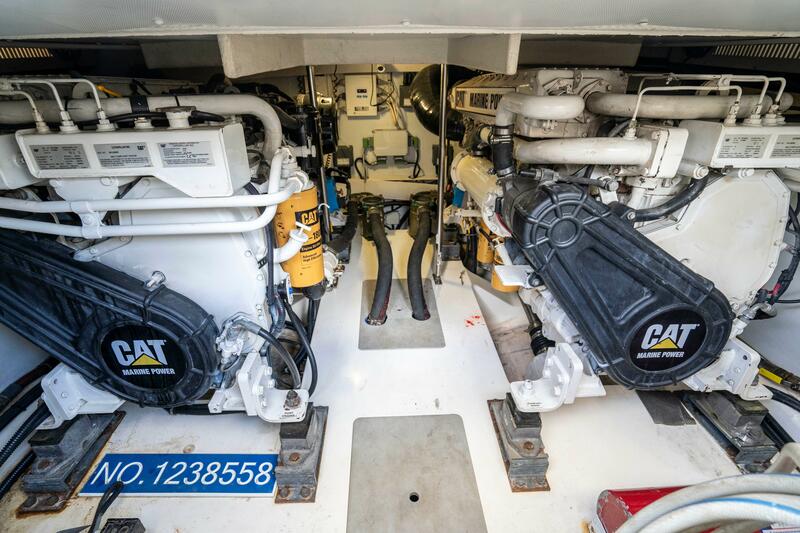 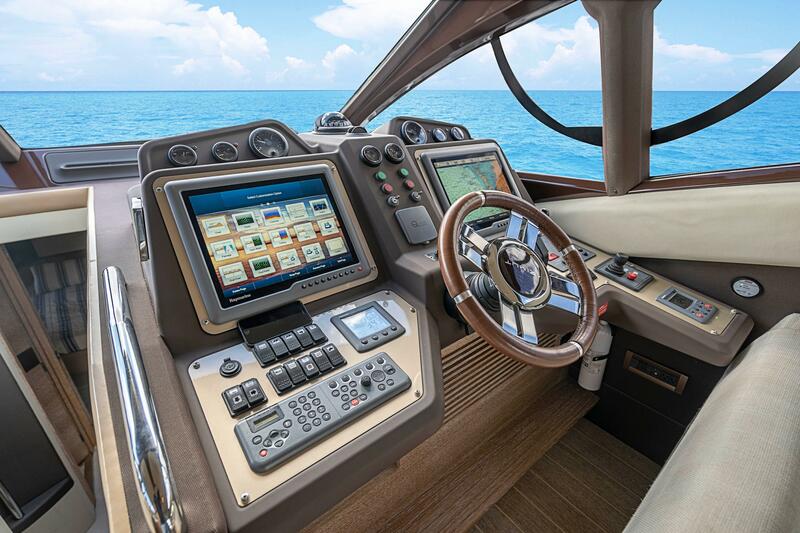 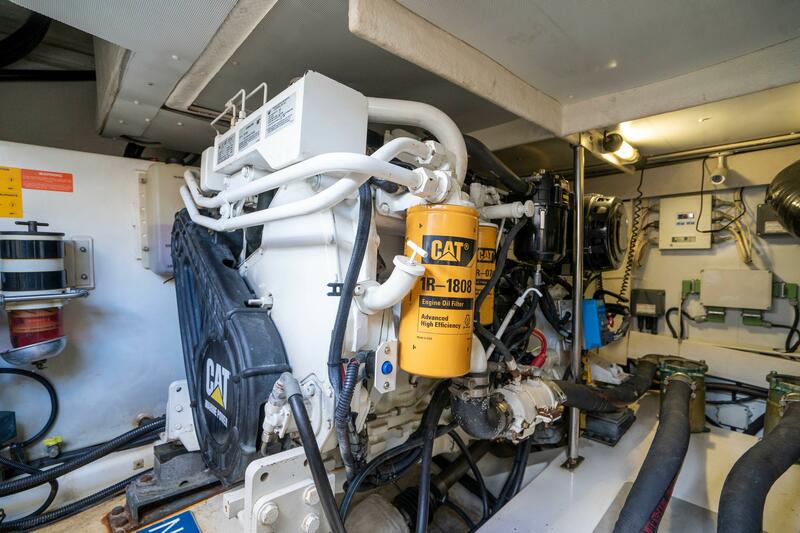 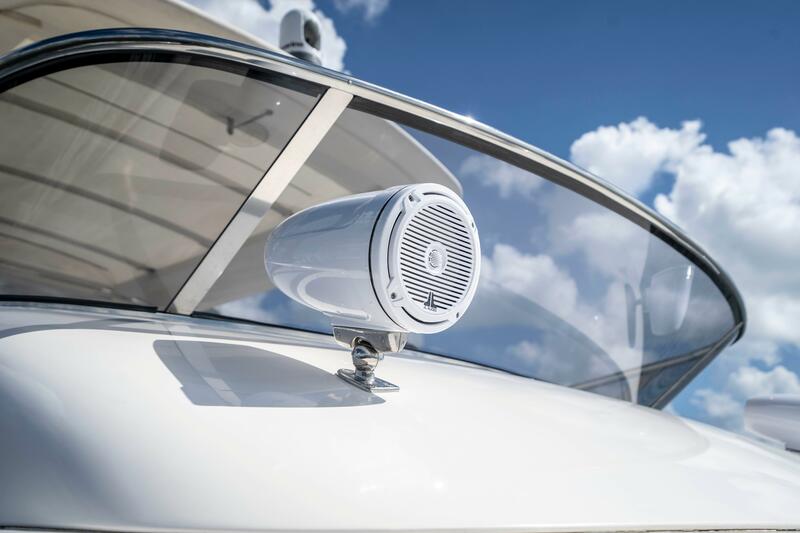 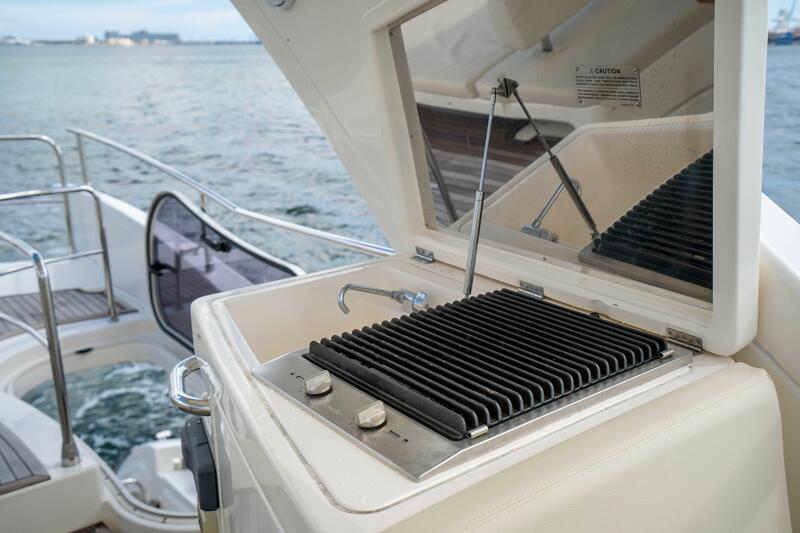 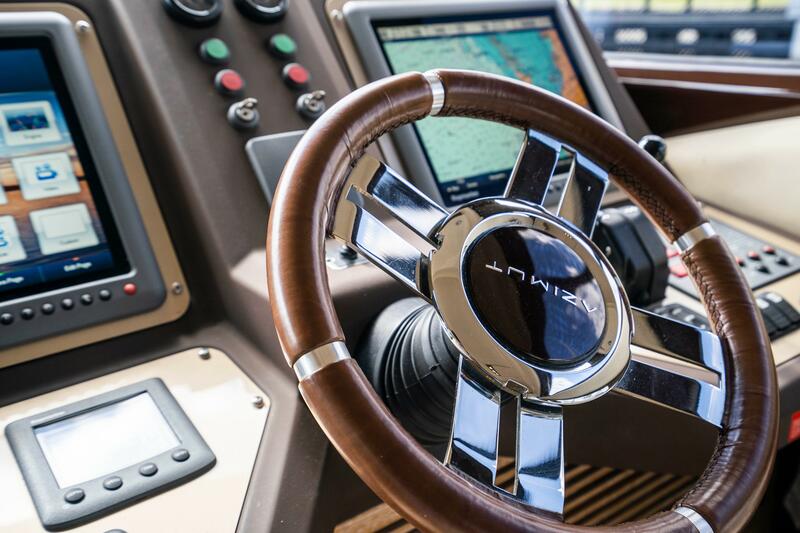 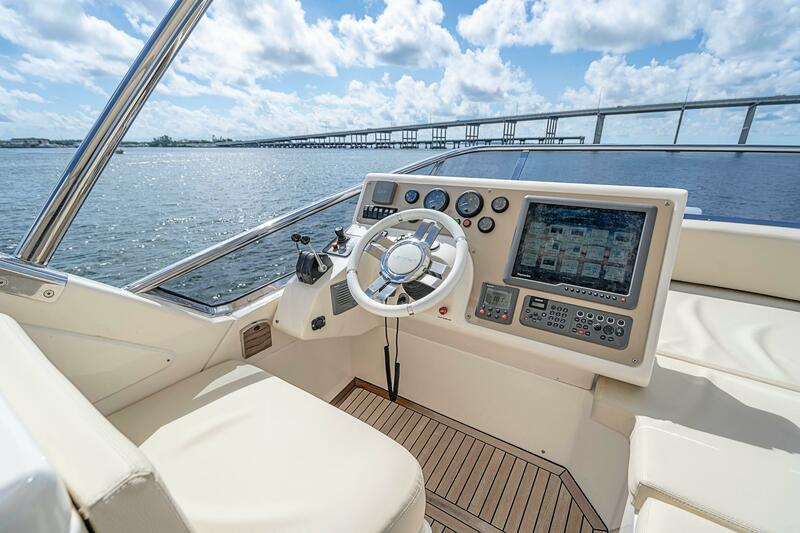 With the spacious design, great sea-keeping abilities, Seakeeper Gyro, and Cat Power makes this boat best in its class! 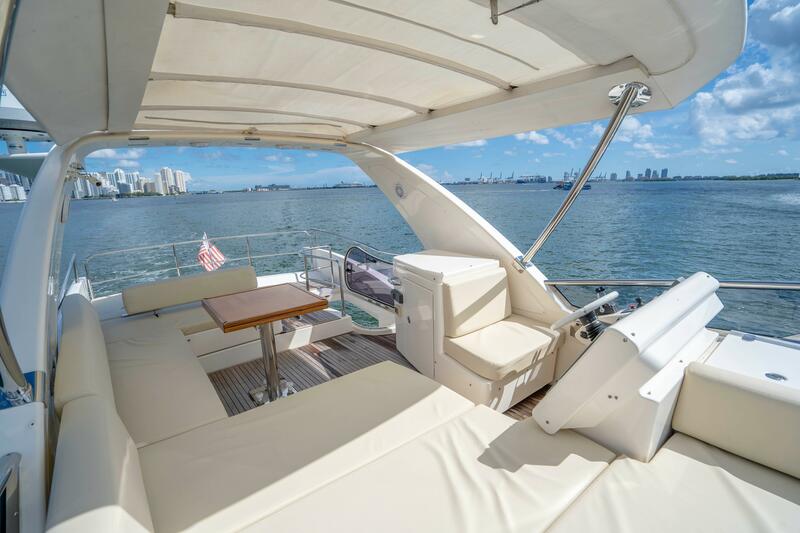 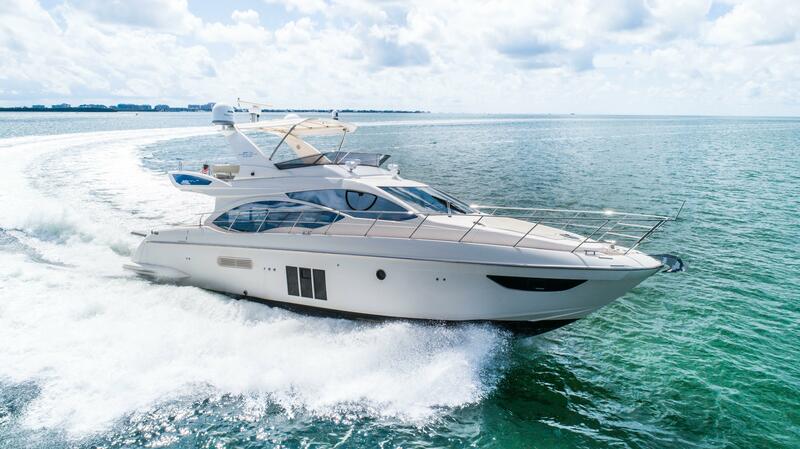 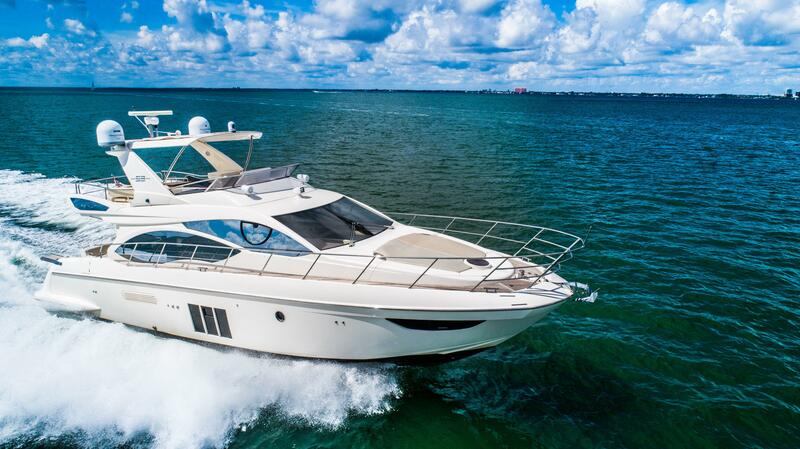 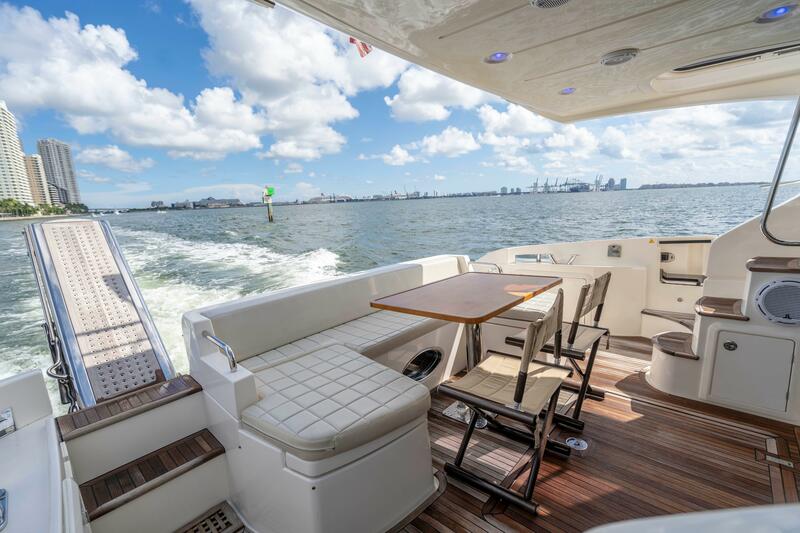 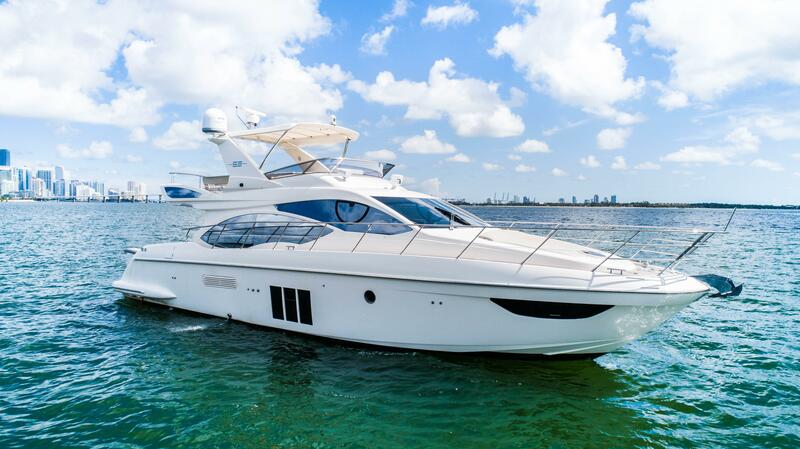 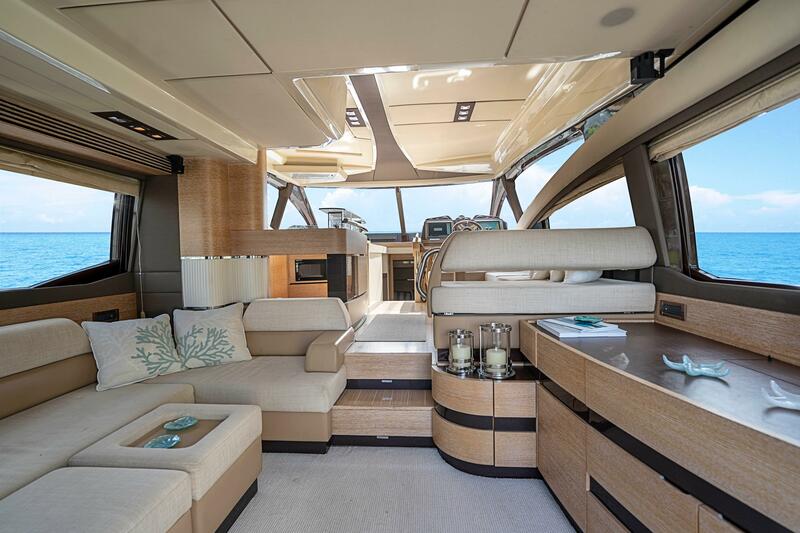 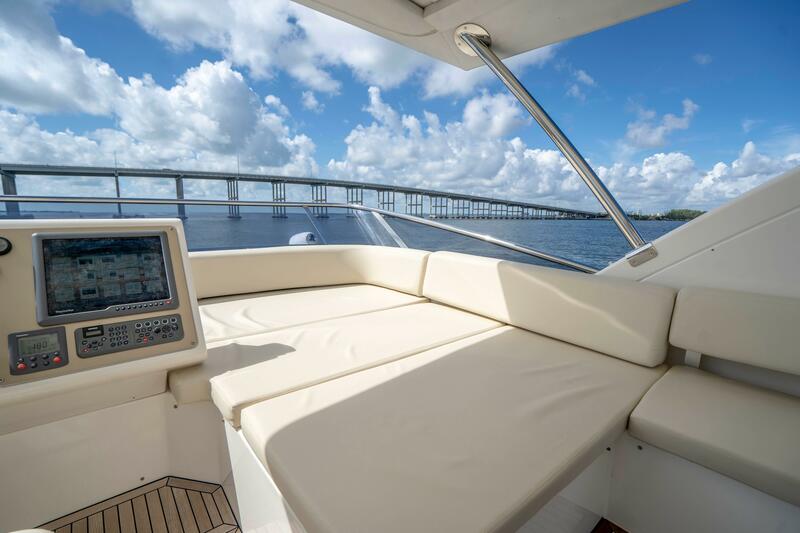 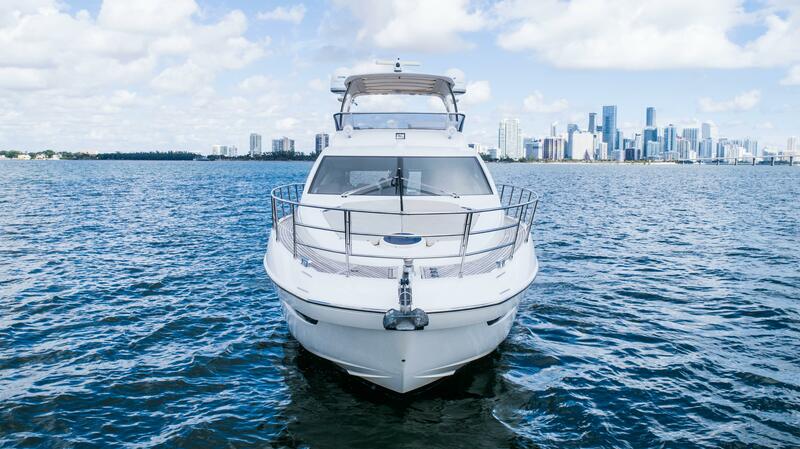 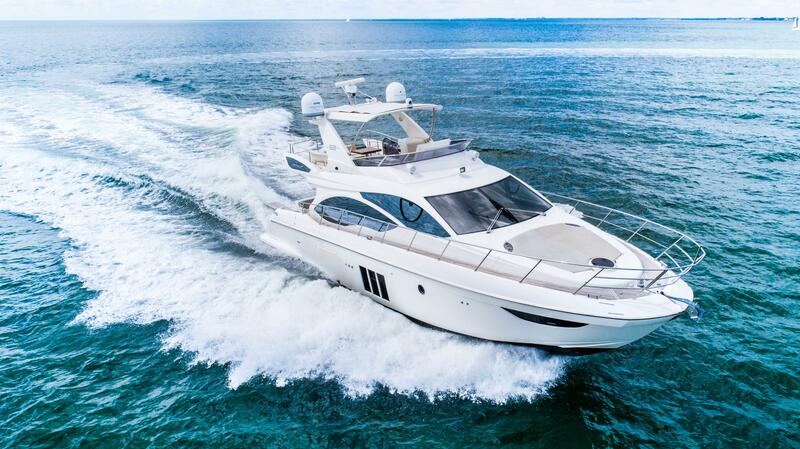 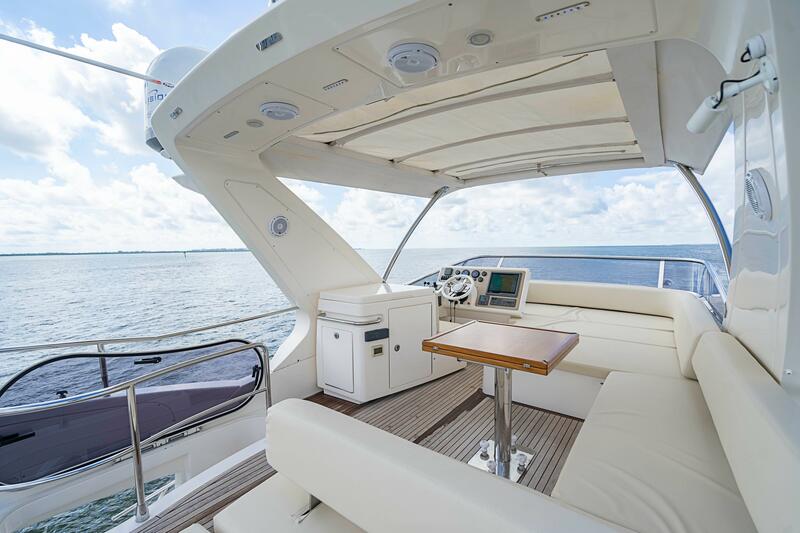 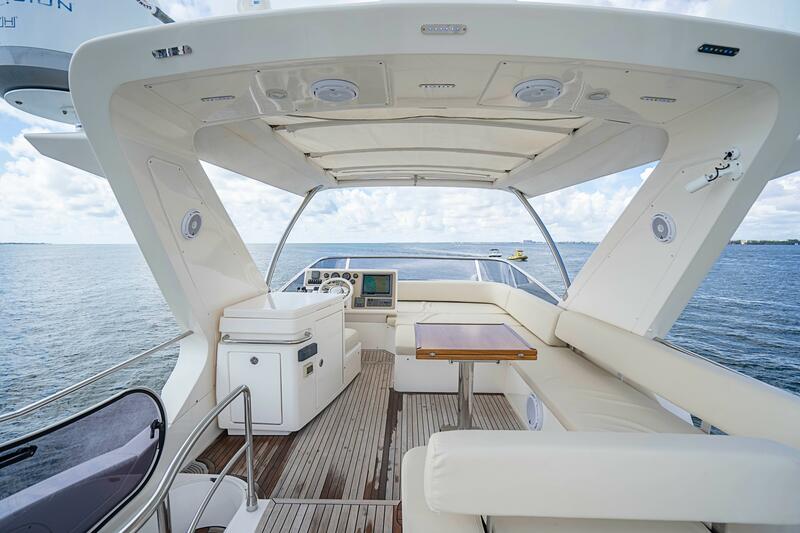 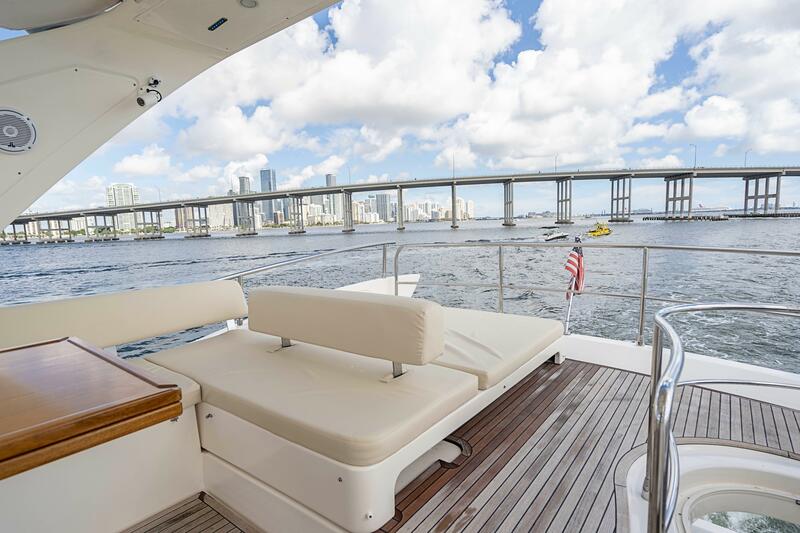 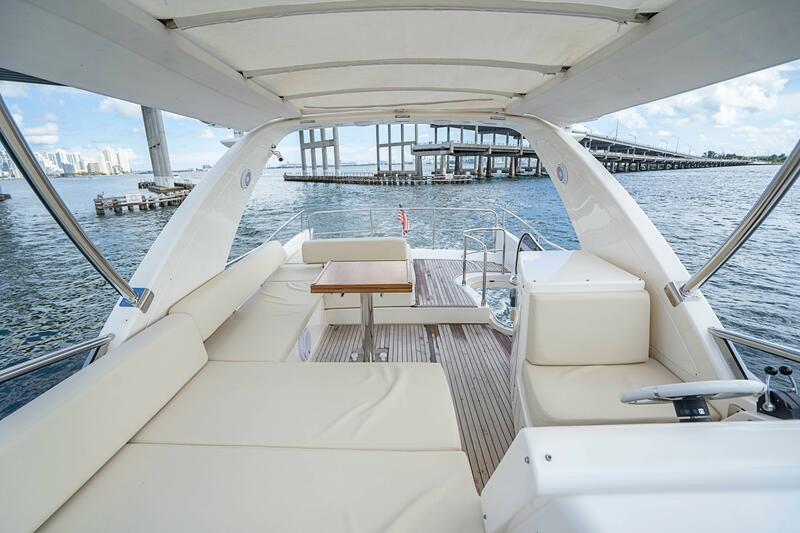 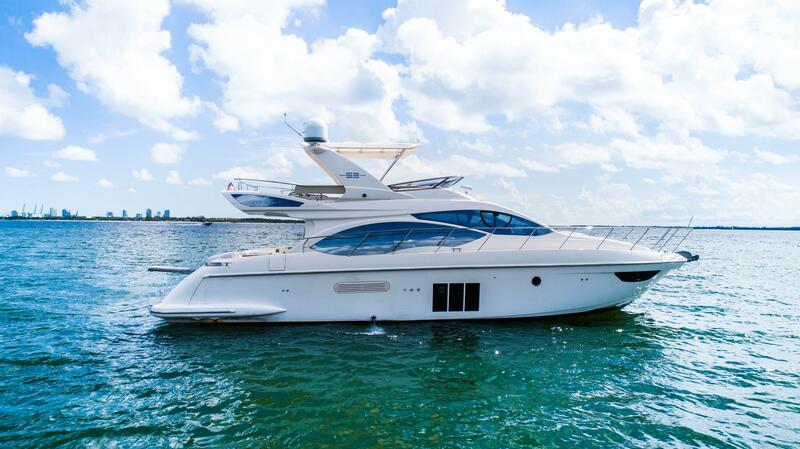 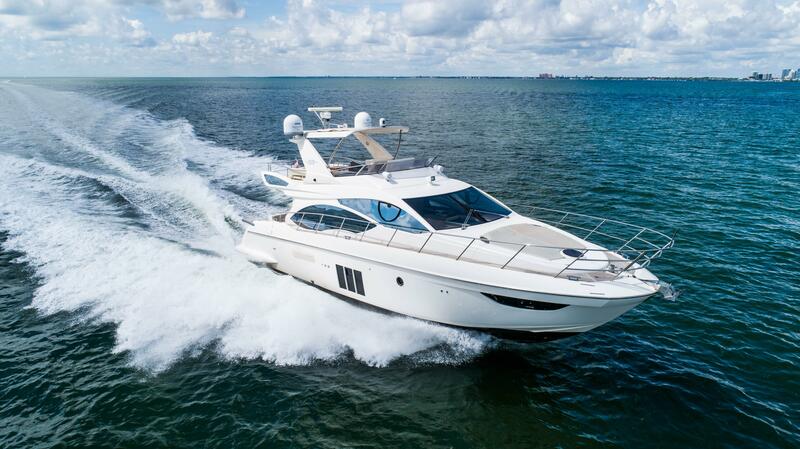 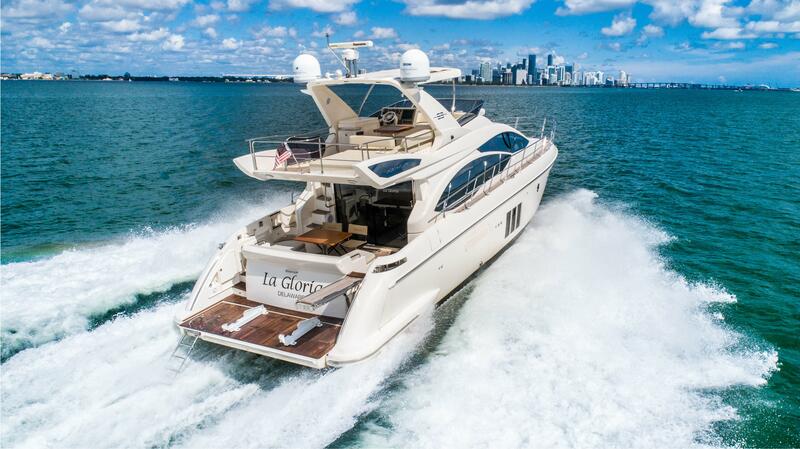 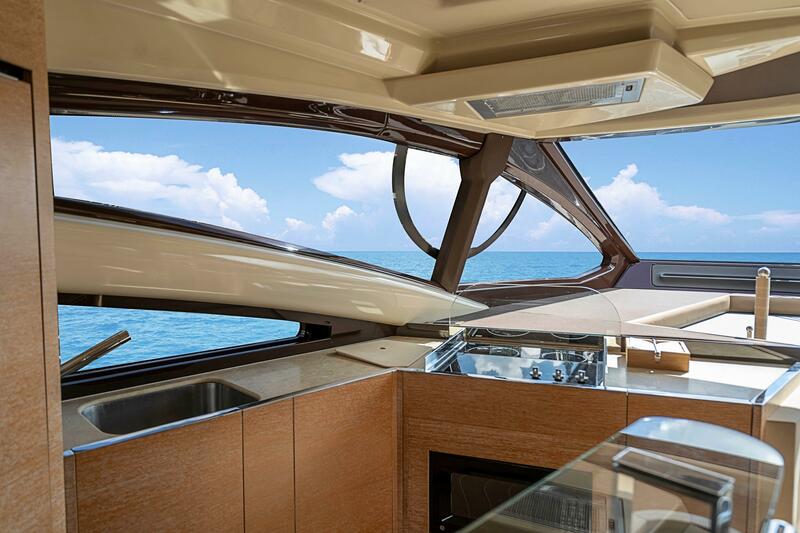 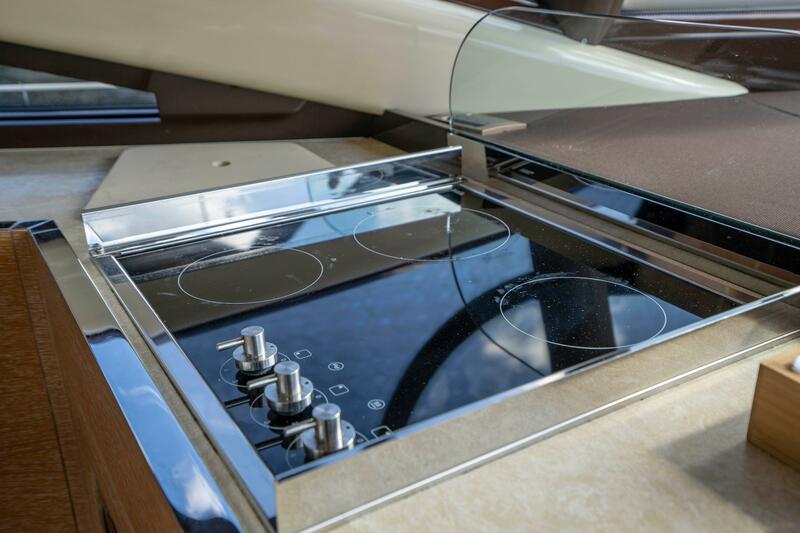 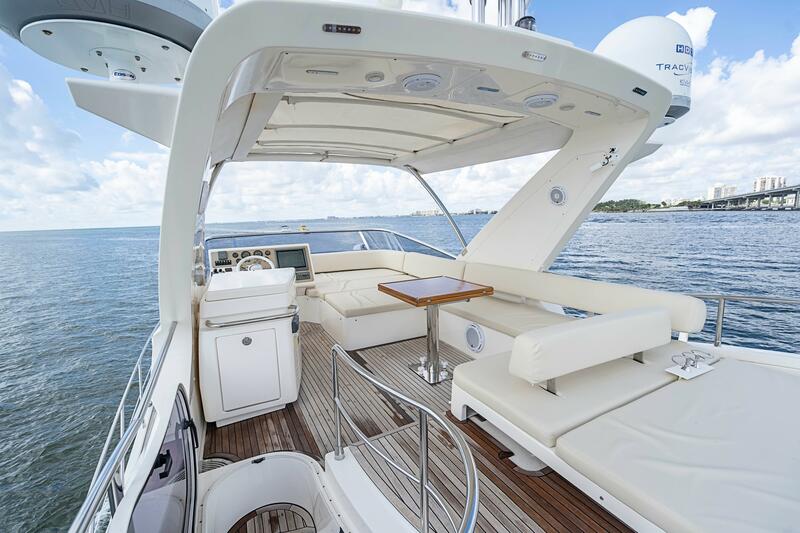 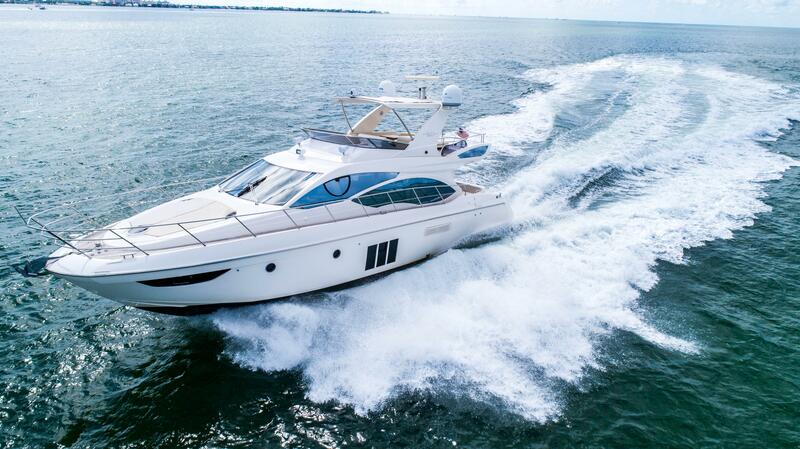 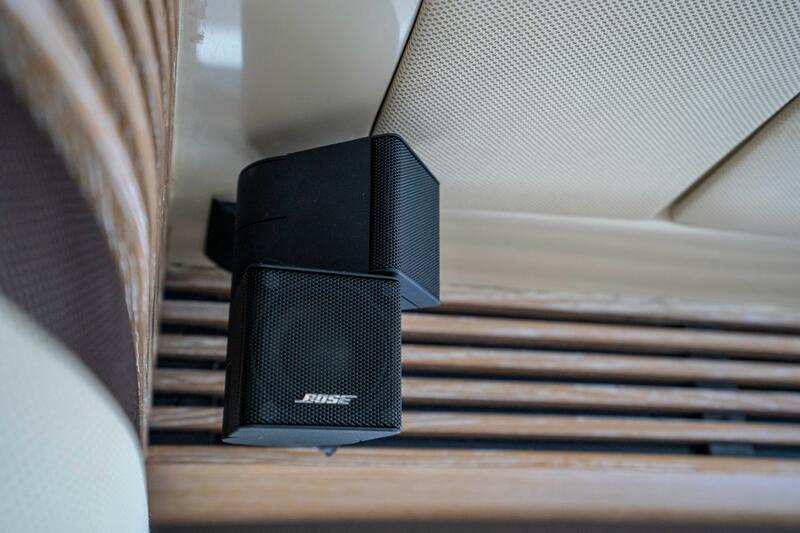 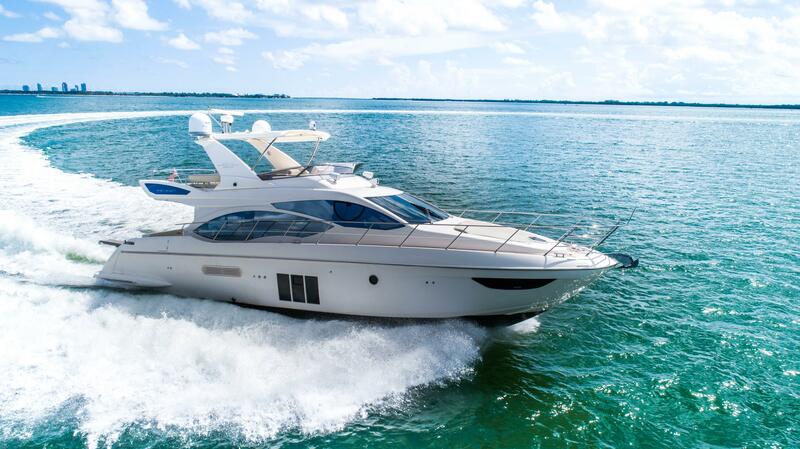 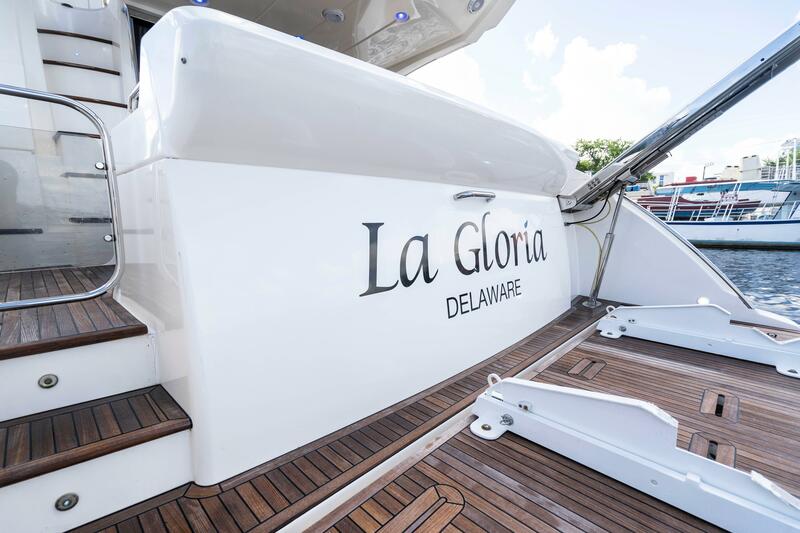 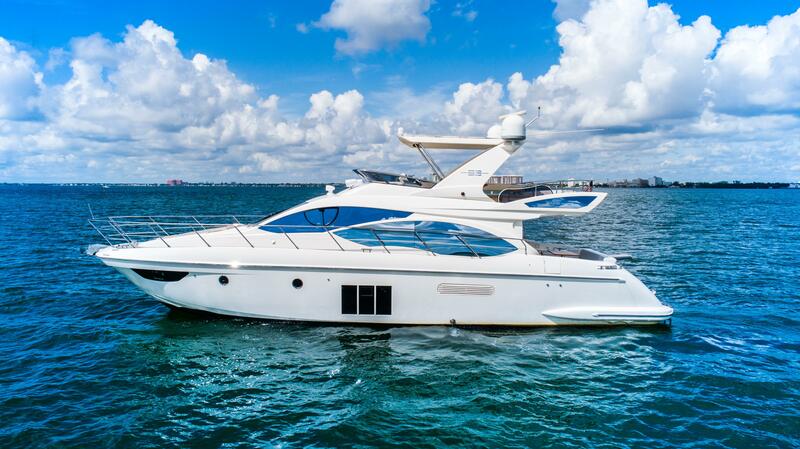 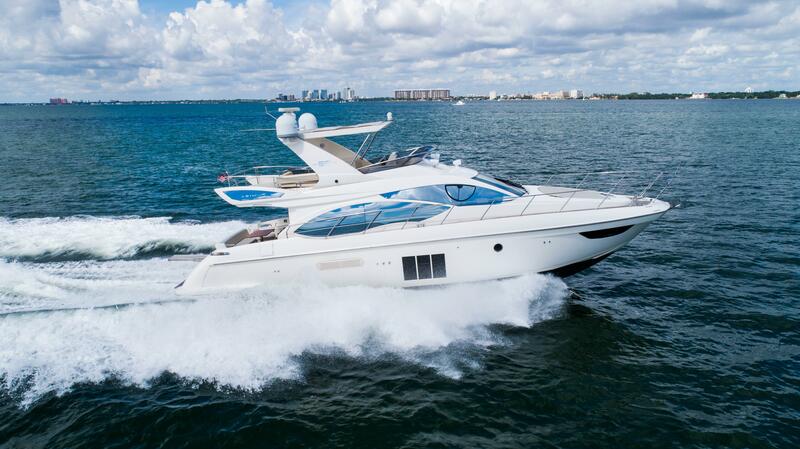 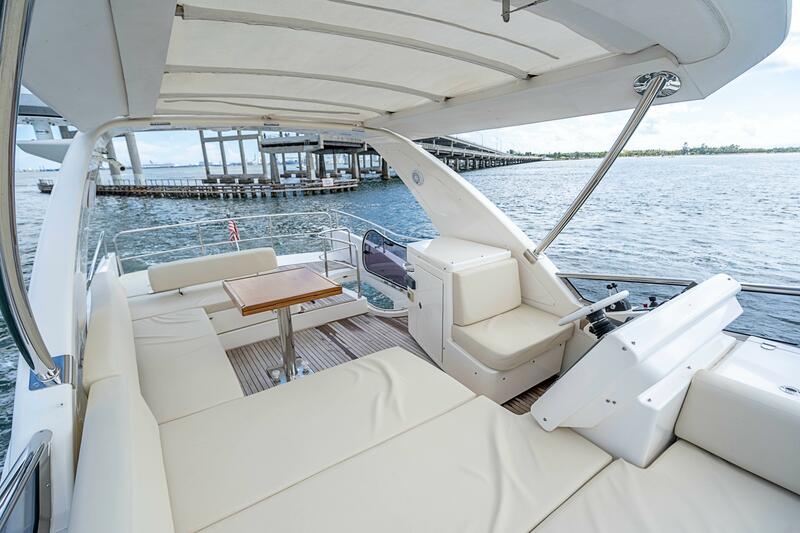 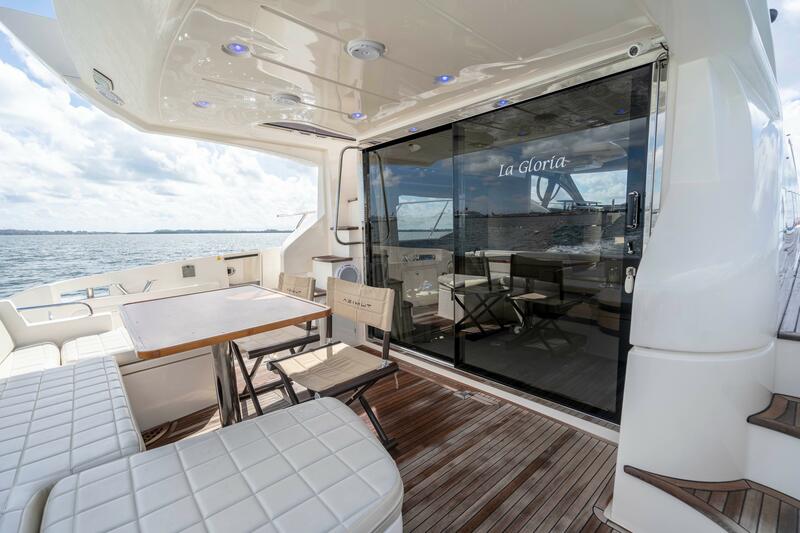 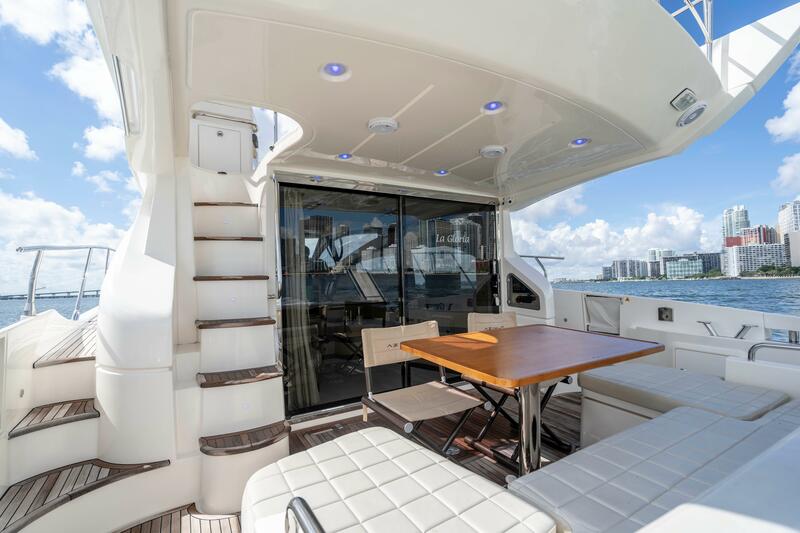 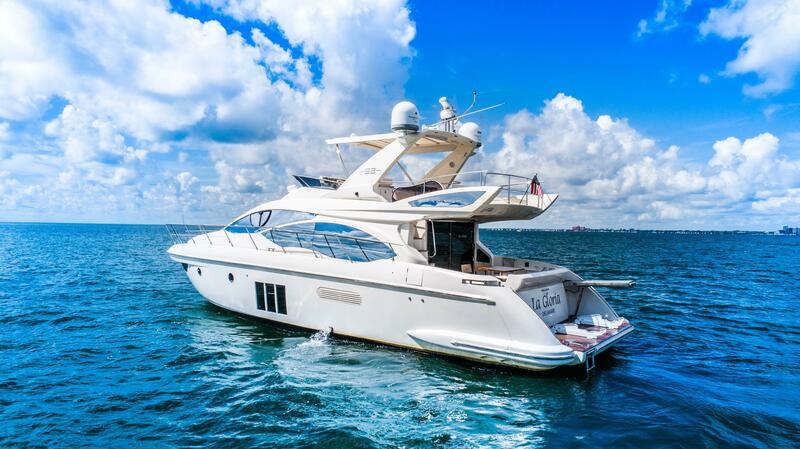 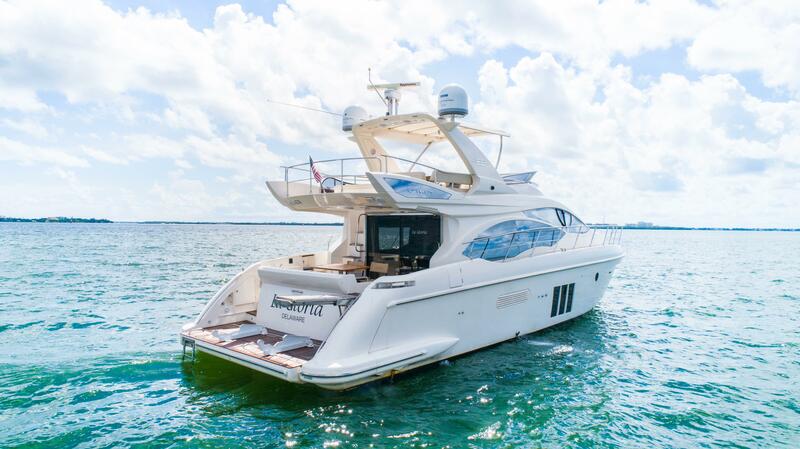 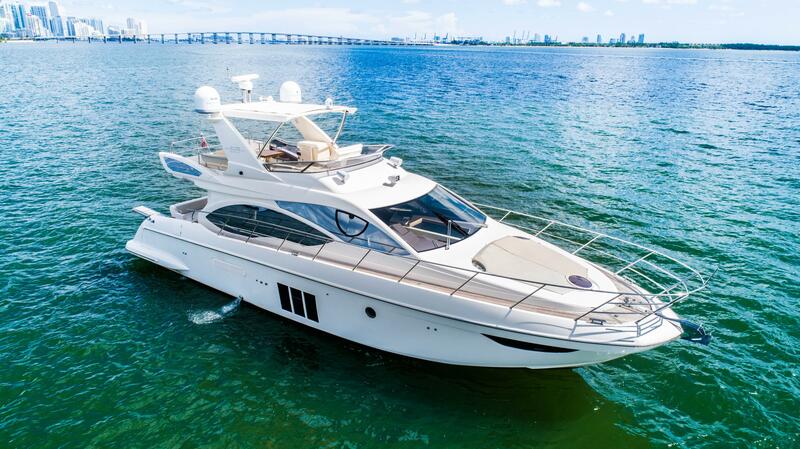 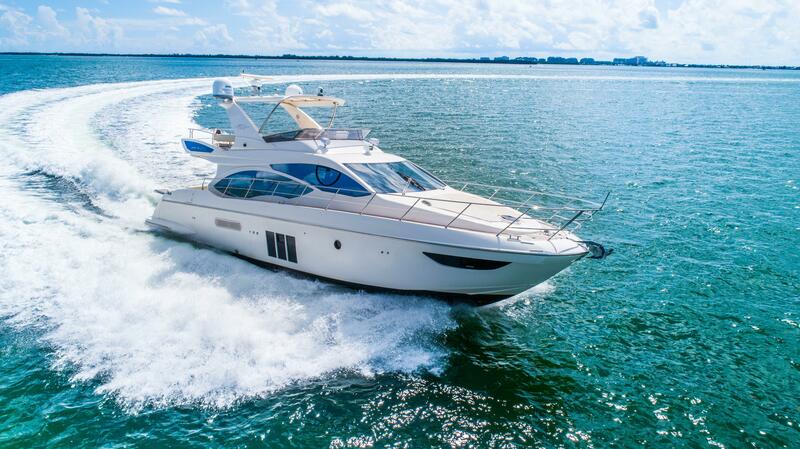 Come inspect the 2011 AZIMUT YACHTS 53’ FLYBRIDGE LA GLORIA today and find out why. 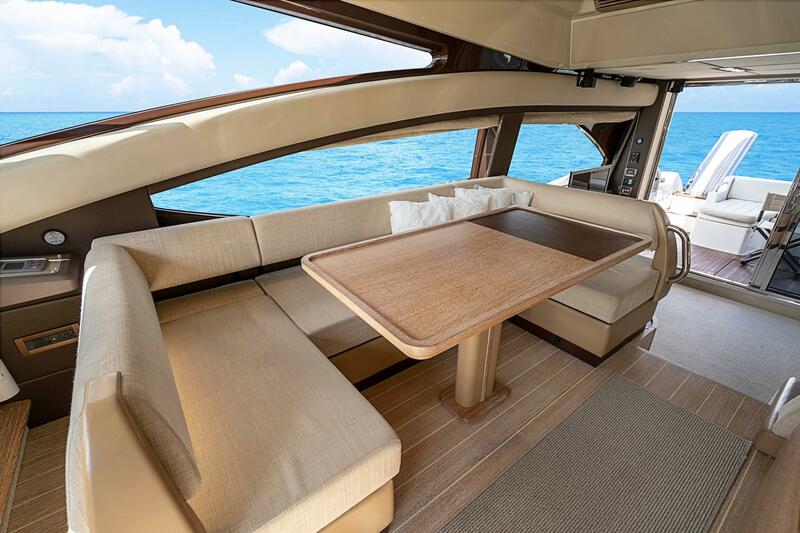 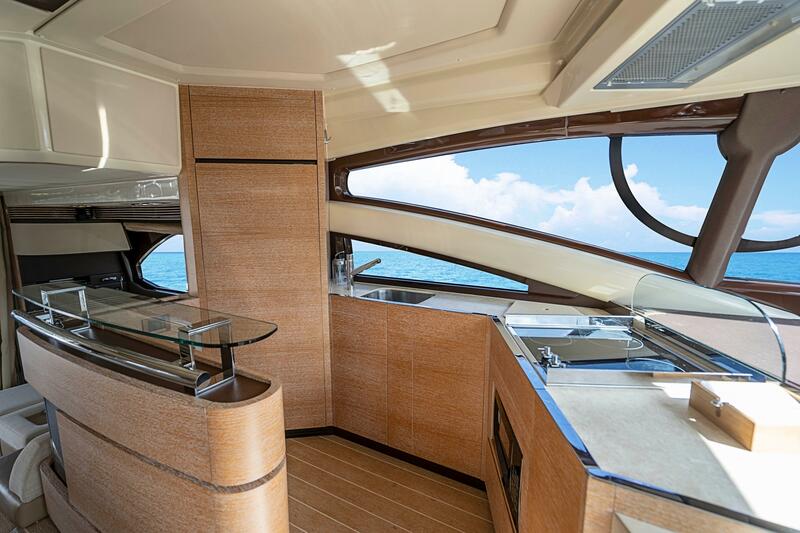 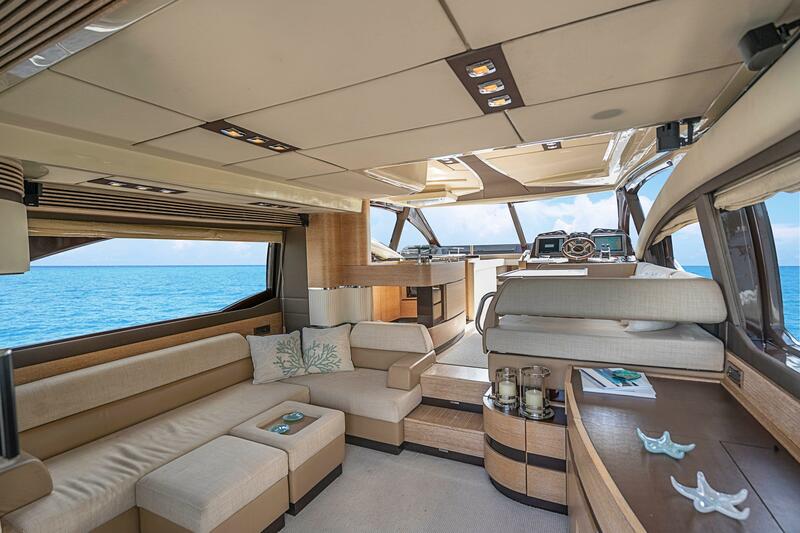 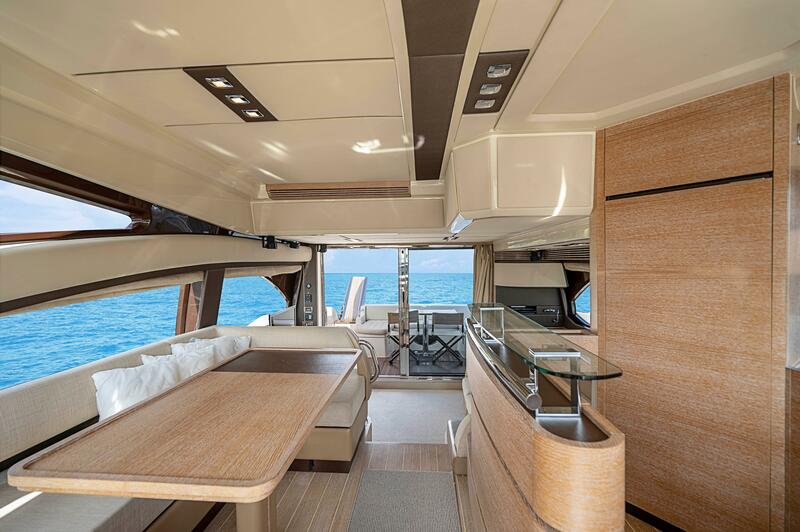 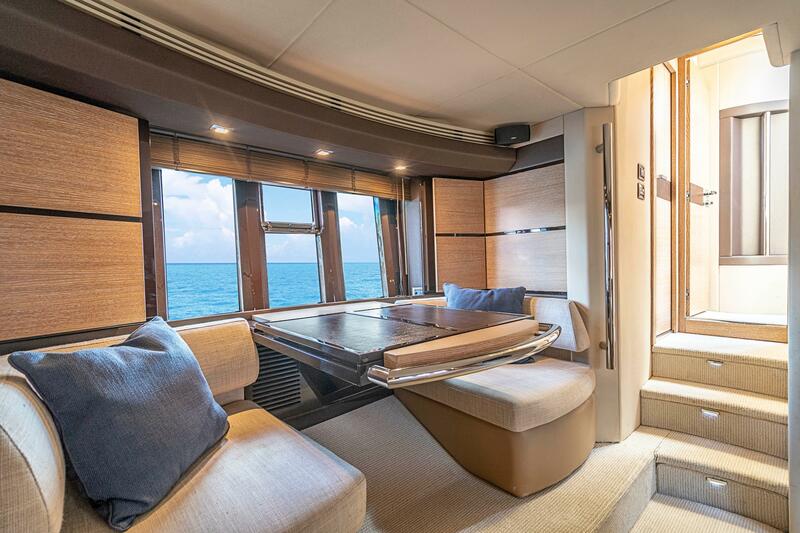 Very spacious salon with an L-lounge sofa, moving forward to the port side is the galley adjacent is a U-shaped dinette. 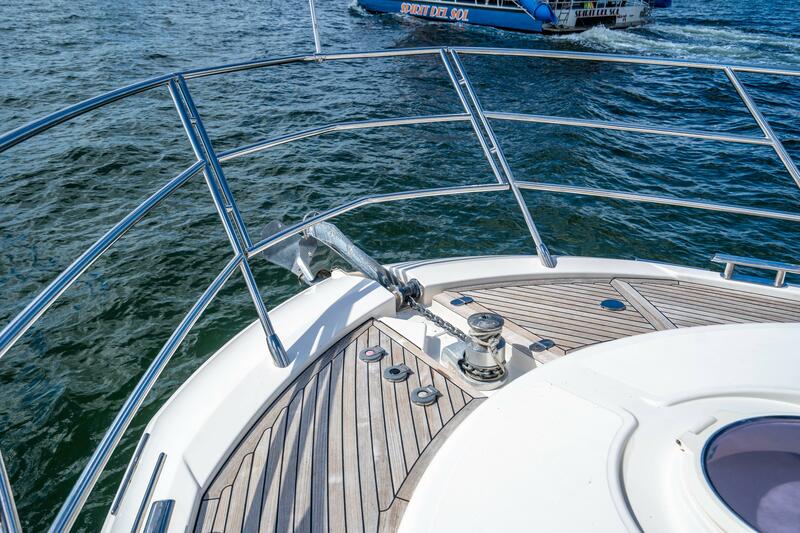 The lower station is on the starboard side. 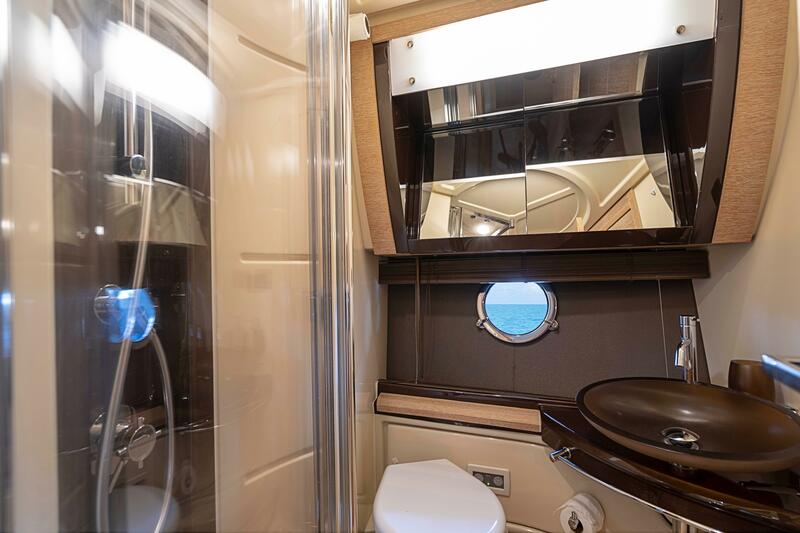 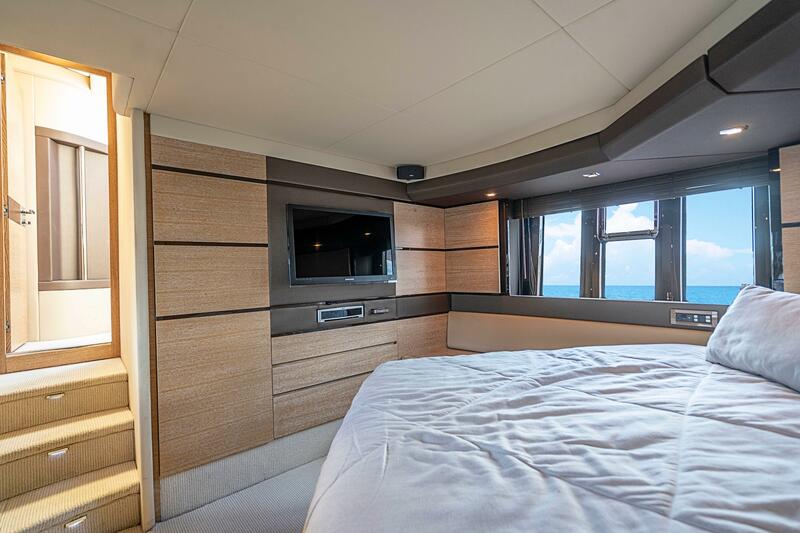 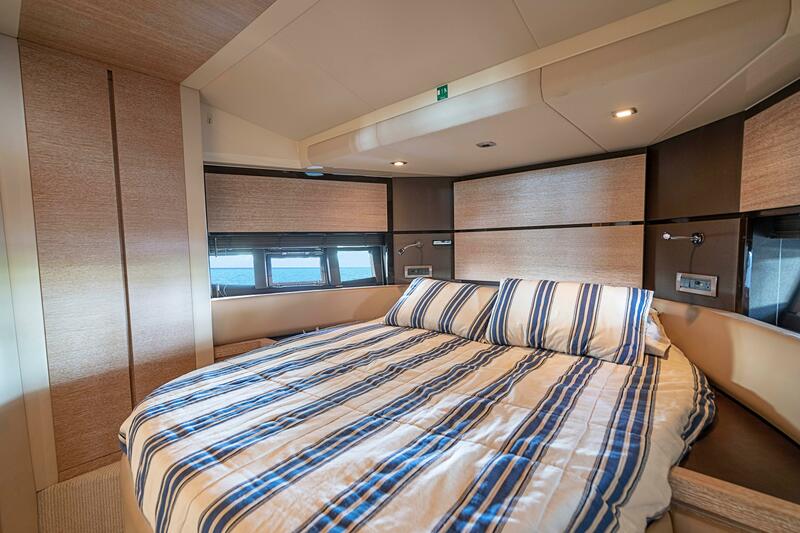 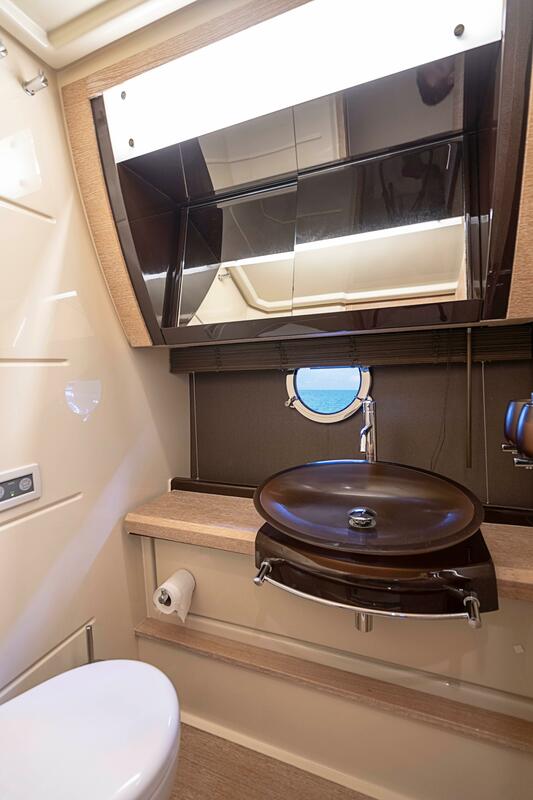 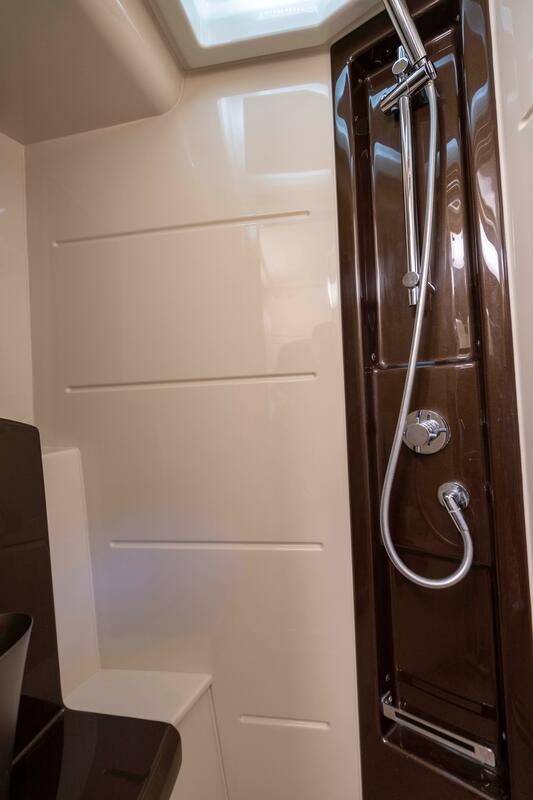 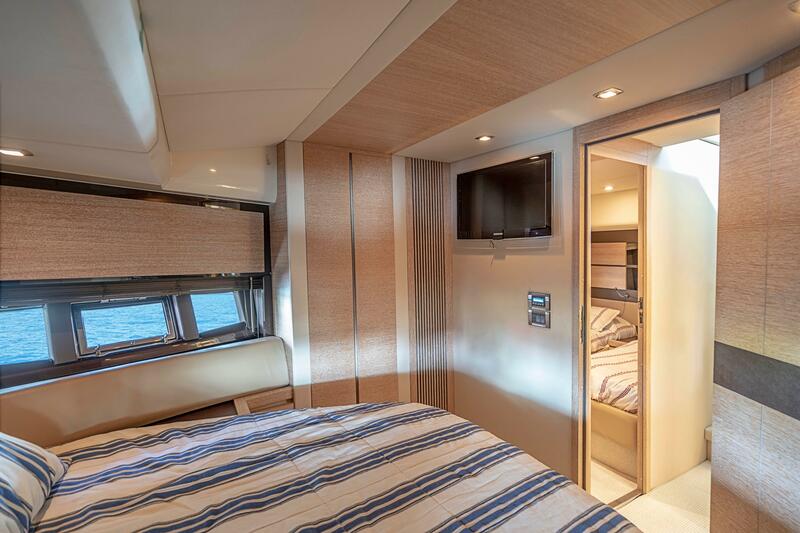 The master stateroom is aft, full beam with a walk around queen berth and private head with stall shower. 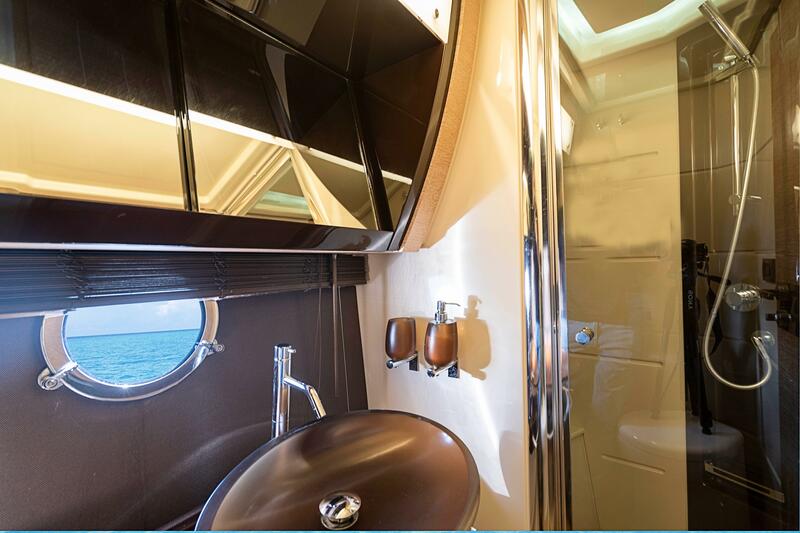 VIP Stateroom is forward boasting an island queen berth and head. 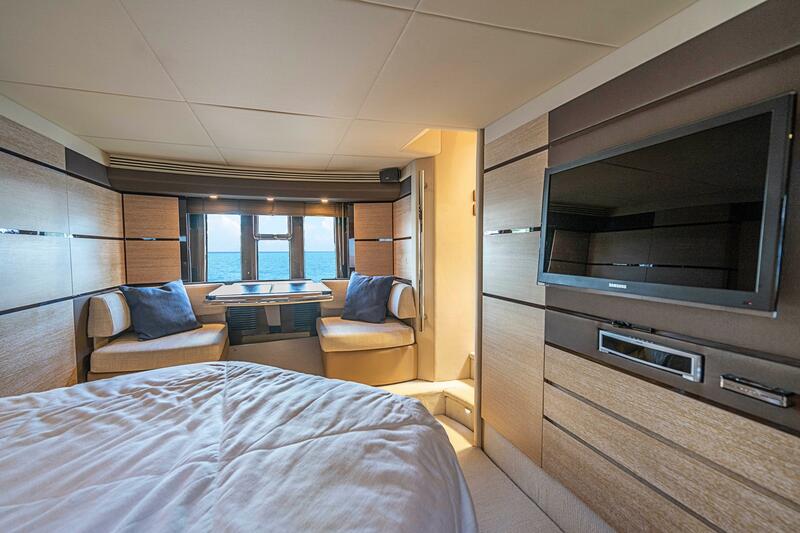 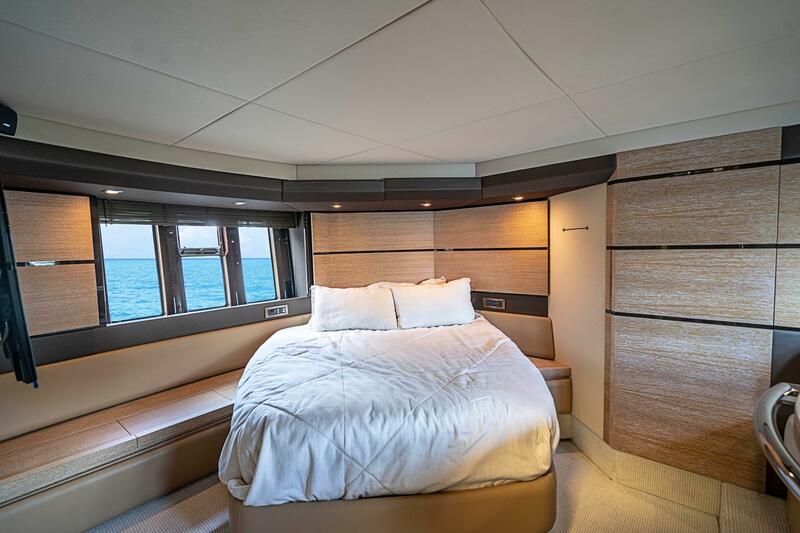 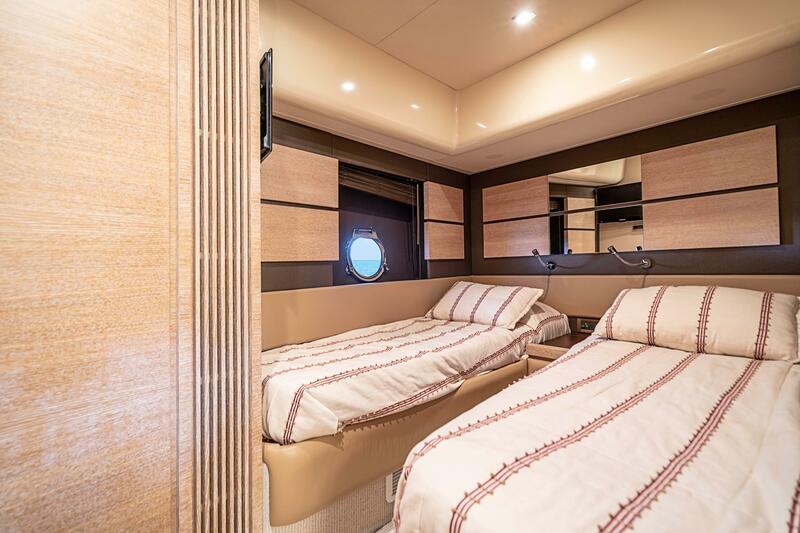 The guest stateroom is on the port side with side-by-side beds. 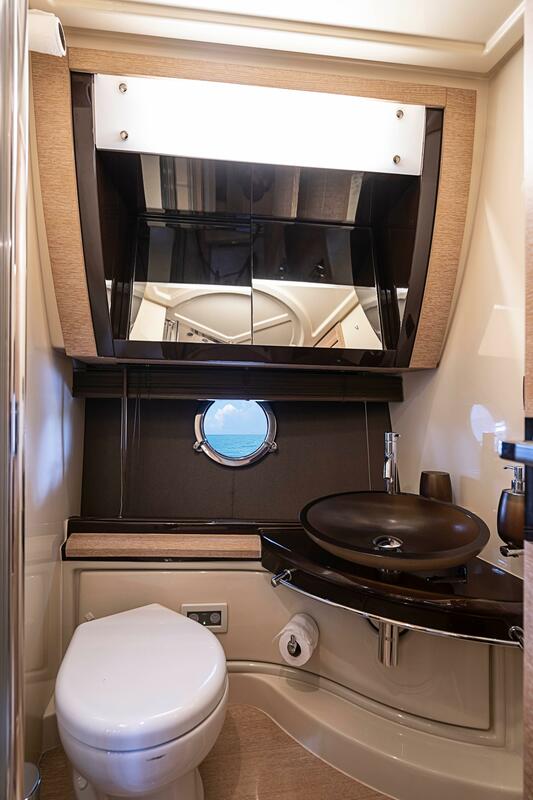 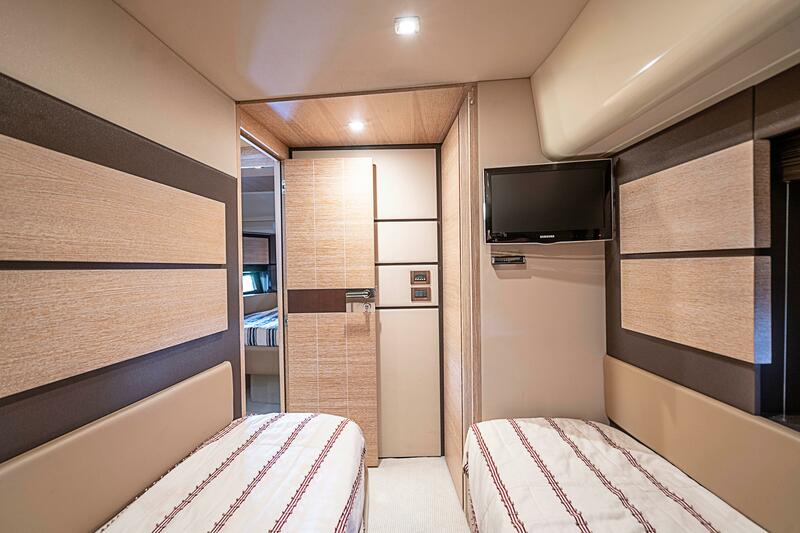 There is also a crew cabin.